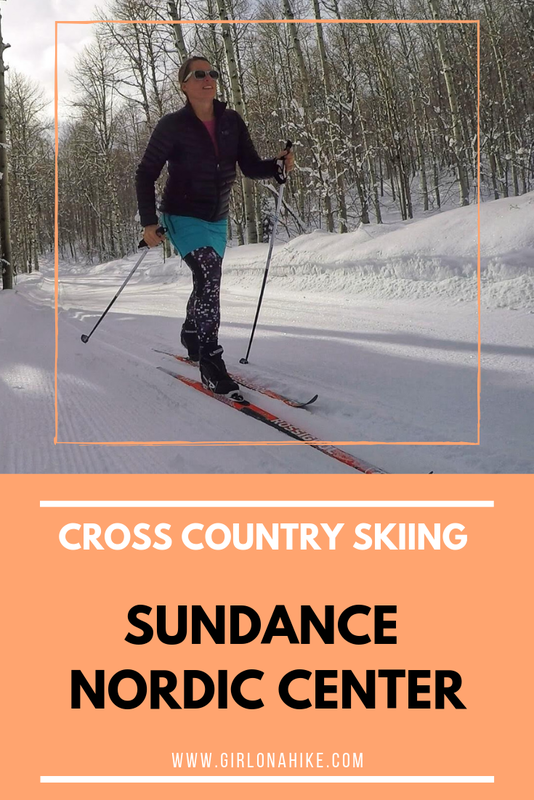 The Sundance Nordic Center is located right next to the Sundance Ski Resort, in American Fork Canyon. There are 15 k (9.3 miles) of groomed ski trails, and 10 k (6 miles) of snowshoe trails. 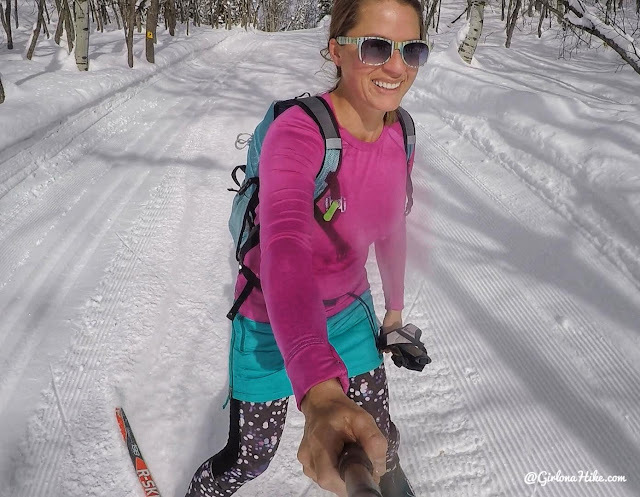 I had all day to explore, so my goal was to try and ski all 9.3 miles of trail! I was pretty close, coming in at 7 miles for the day, only because one of the trails was closed due to recent avalanches. Sundance Nordic offers trails for all skill levels, and all trails wind through pristine backcountry. Sundance Nordic sits at 7,000 ft, and the surrounding views can't be beat. 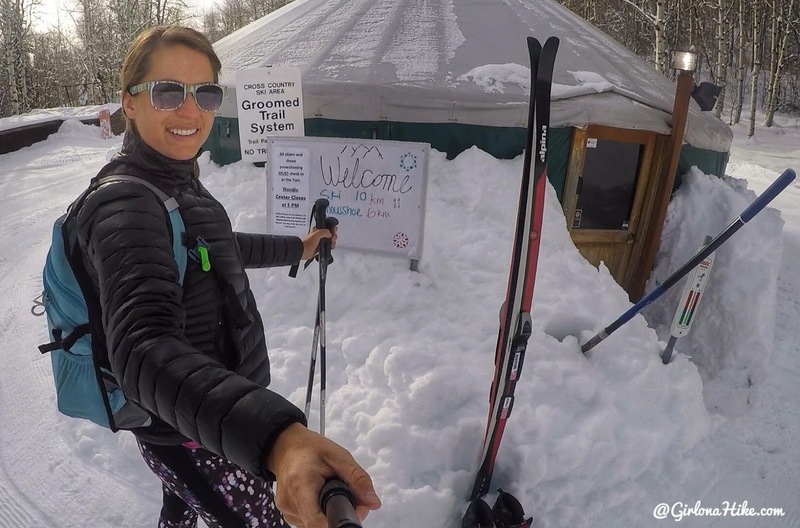 Grab your skis (or rent!) and a trail map, and let's go! From SLC head south on I-15, and take exit 272 heading East. Follow W 800 E, until you reach the split for Provo Canyon, and take 189 East. Drive through the canyon until you see the sign for Sundance, and turn left. 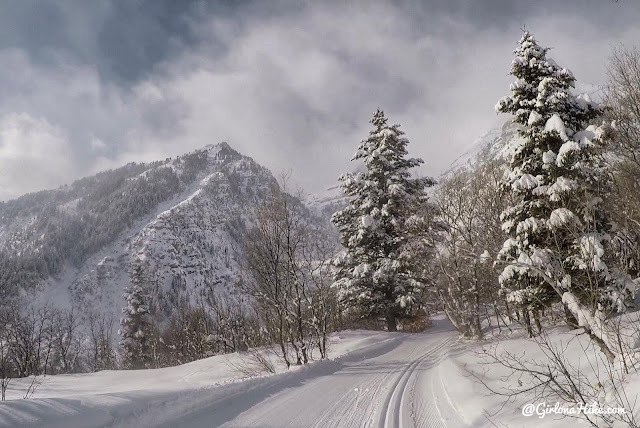 Drive up HWY 92, until you see the sign for Sundance Nordic Center, and turn left on Timphaven Road. Ages under 6 and older than 65 - Free! 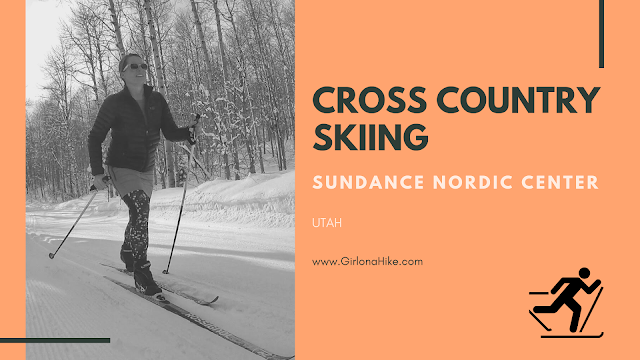 For rental prices, call Sundance Nordic at 801.223.4170. Ready to pick up my ski pass at the Nordic Center yurt! To get started skiing, you can go right or left - both routes will go uphill to begin with. 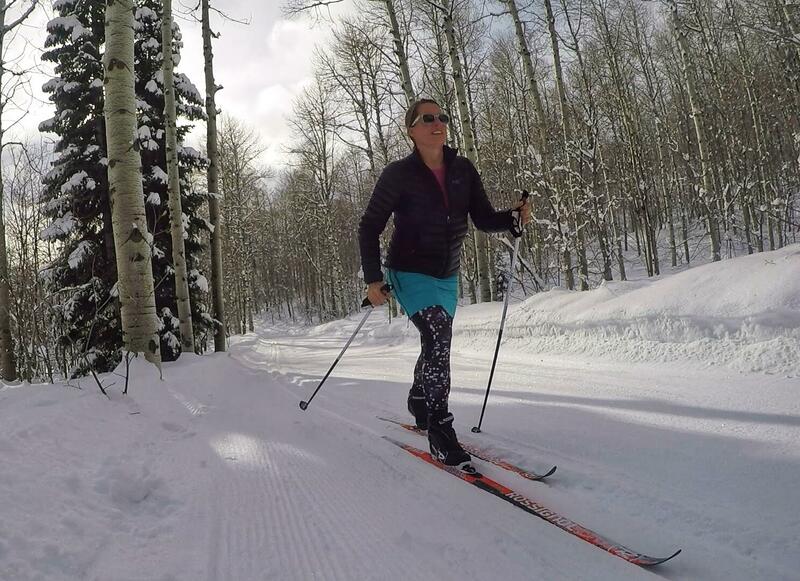 Time to strip layers, and work hard up a steeper hill. I was testing out some different skis, that have a small skin on the bottom. I felt like these were extra slippery for me, making the uphill harder. Weeee! The downhill is so much fun! 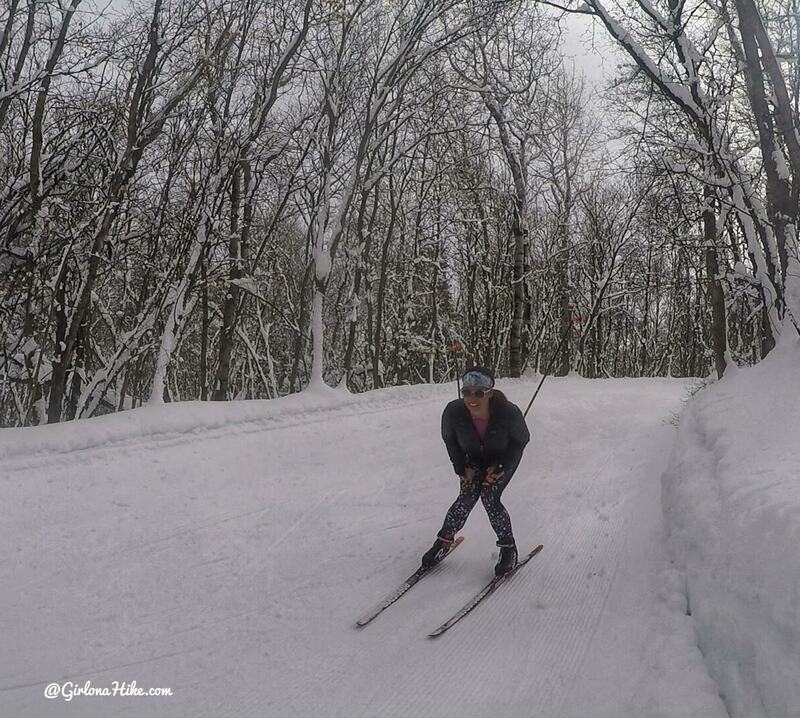 I absolutely loved the freshly groomed tracks. Winding my way through the trees. 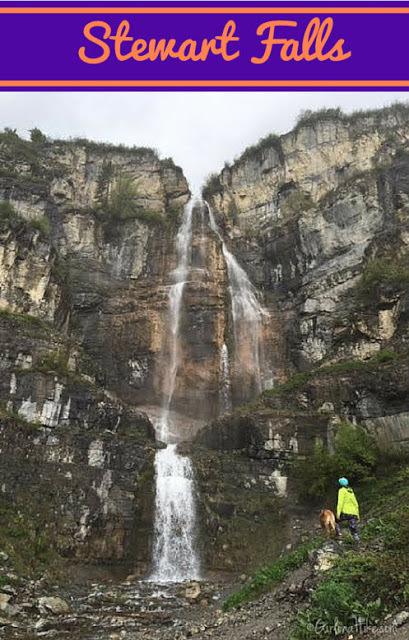 As you continue to ski down Lena's Loop, you'll have a view of Stewart Falls as well! This was my favorite ski trail of the day - just make sure you ski it in a counterclockwise direction so you get more downhill. 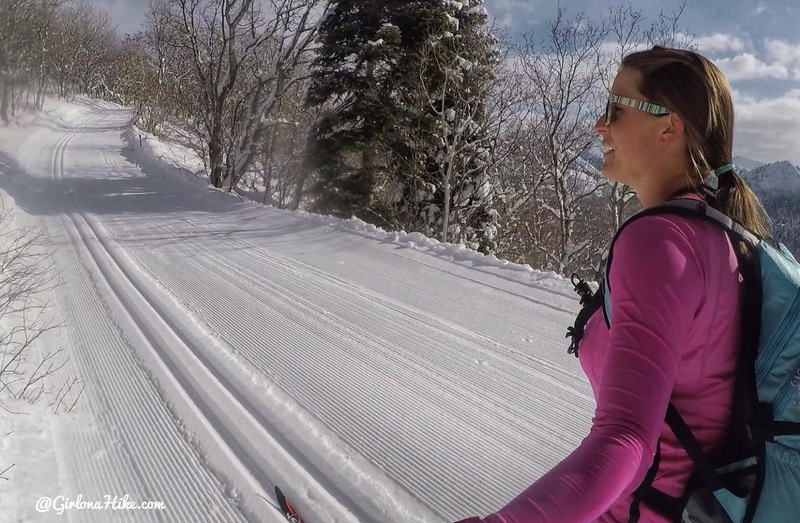 If you're looking for a workout and want uphill, then ski this clockwise. What a beautiful day to be outside. 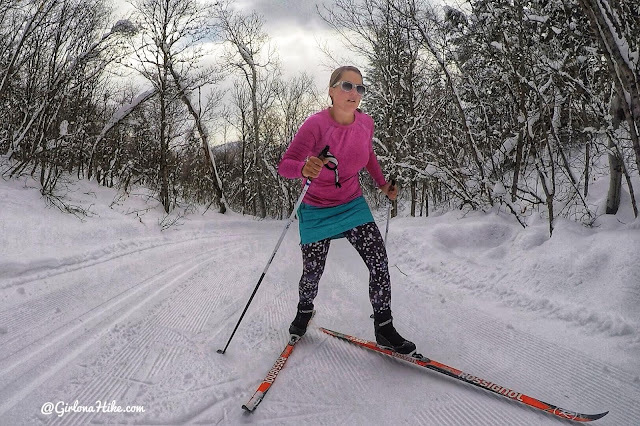 On a Wednesday morning I only saw two other skiers. So nice! 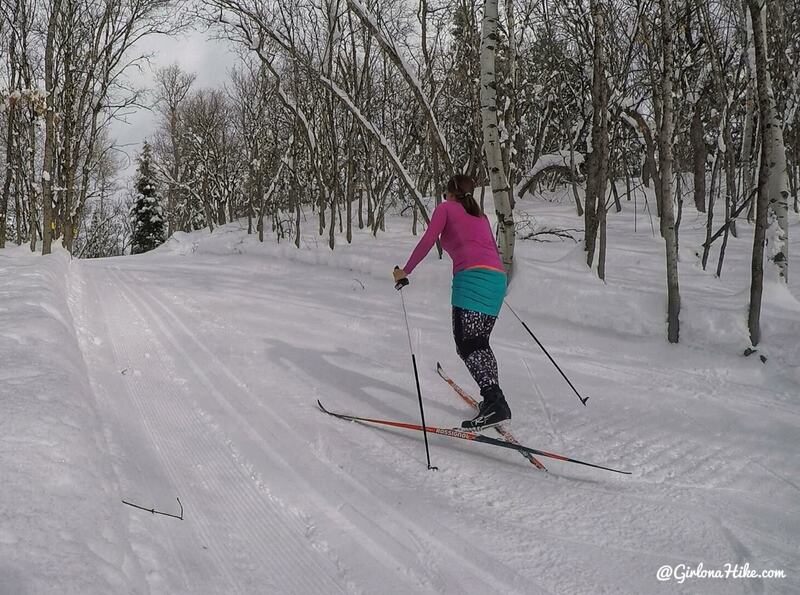 I'm glad I tried the new skis out, but they were a bit too long and slippery for me. I did take a mini lesson in Skate Skiing, and I picked it up much faster than when I tried back in 2010-2011. The skis are very different, the uphill is way harder for me with my asthma, but I did like the gliding action and flow on the downhill. Be sure to catch my new YouTube video and see me in action! My ski track for the day! 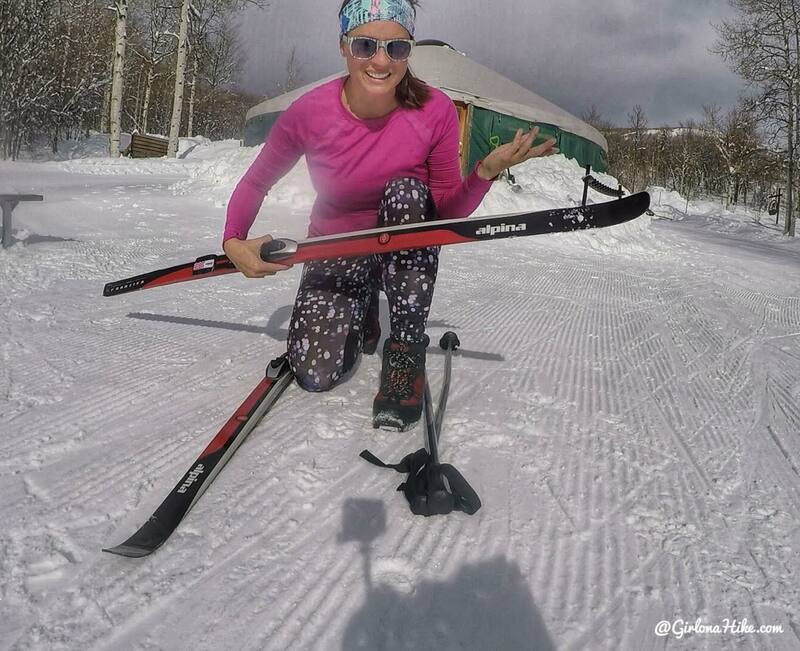 Huge thank you to Sundance Nordic Center for setting me up with skis and a quick lesson! 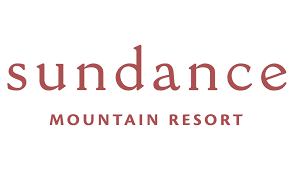 Be sure to follow Sundance on Facebook, Twitter, & Instagram! Thank you! That whole area is so pretty.